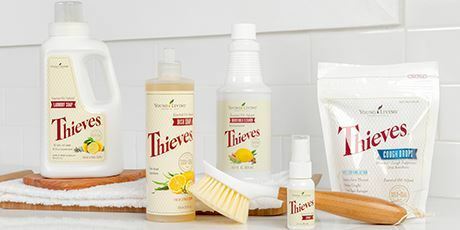 One of the primary lines Young Living has created is Thieves, and they sell this blend in all kinds of products from household cleaner to foaming hand soap. I have the opportunity to discuss one of their products- the Thieves Aromabright toothpaste, which I have used several times and am more than happy to give my opinion on. 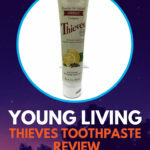 But before that, I will touch on Young Living, what Thieves is, the promise they make with the Aromabright toothpaste, and then go over some other Thieves toothpaste reviews. So, prepare yourself as we delve into Young Living Toothpaste reviews. In short, this company, which was founded in the 20th century by D. Gary Young and his wife Mary, had the vision to bring the benefits of pure essential oils to everyone they could reach. Since then, they have built an empire that not only creates top quality extracts, they’ve expanded over the years to add several lines of products like DiGize and Thieves. Thieves is a blend that D. Gary Young created after learning that burglars during the black plague used these oils to ward off contagions while they took valuables off the sick and the dying. Rumor has it that the government vowed to drop the charges if they revealed how they avoided catching the disease. Young combined Lemon, Clove, Cinnamon Bark, Eucalyptus Radiata, and Rosemary to create the essential oil but it didn’t take long before this blend spread its wings to be included in a whole line of products you could do everything from cleaning your counters to rinsing your mouth out with. 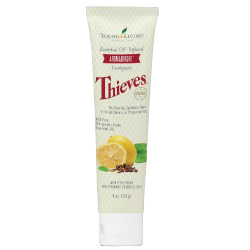 This particular toothpaste in the Thieves line, one of three choices, by the way, has an advanced formula that was designed to be gentle on your teeth and gums while whitening them at the same time, which is done by removing stains with ingredients that safe and pure. Speaking of the ingredients, they are as follows. Now that we’ve listed what Young Living puts into their Thieve Aromabright toothpaste, let’s take a closer look at each one. It’s worth mentioning that, in comparison to the other Thieves toothpaste brands, this is the only one made with both calcium carbonate and sodium bicarbonate. That last statement does not include the Kidscents® Slique™ toothpaste. My first thought when reading this ingredient was that they used water to give the toothpaste its consistency, which is no different from any other toothpaste I’ve ever tried. 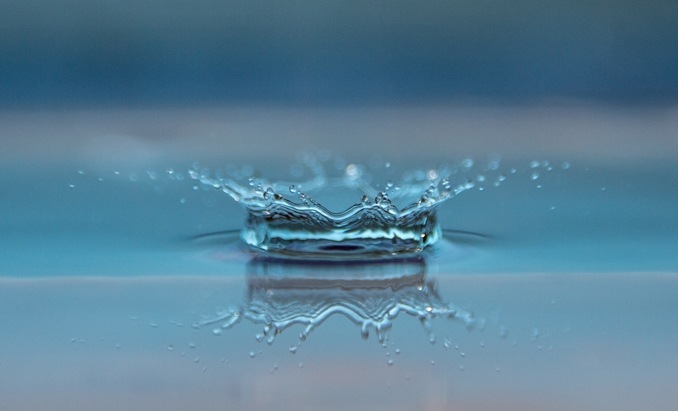 While this might be the case, at least in part, there is no denying water is good for us. 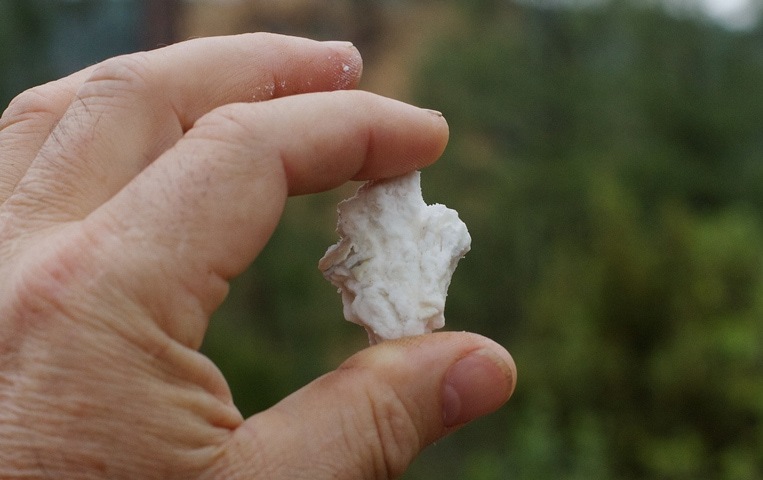 This is a mineral that is taken from limestones. It’s a natural way to polish the teeth. It is coarse enough to do the cleaning but not too hard that it leaves scratches on the enamel. Here we go with a powerhouse when it comes to the teeth and gums. Coconut oil is used for “swishing” or “pulling”, which is a practice some people use to promote healthy teeth and gums. They literally swish coconut oil in their mouths for a few minutes and rinse. It is said to have wonderful benefits. Why is this? 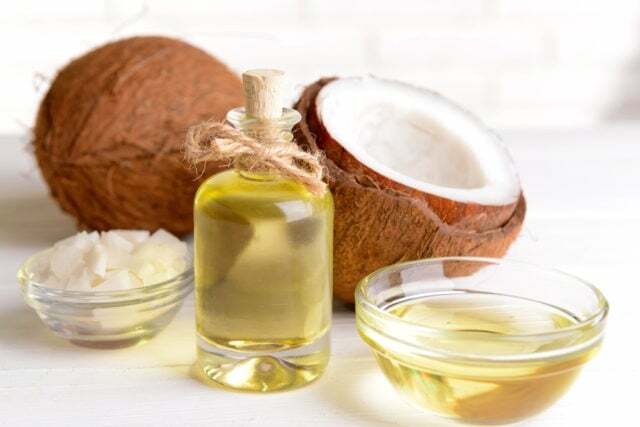 Coconut oil kills bacteria in your mouth and is especially fond of killing Streptococcus mutans, the exact bacteria that causes our teeth to decay. That’s not all, coconut oil also battles gum disease. A staple on our home due to its cleaning properties, here, it is a chelating agent and an antibacterial that helps remove stains and combat plaques. 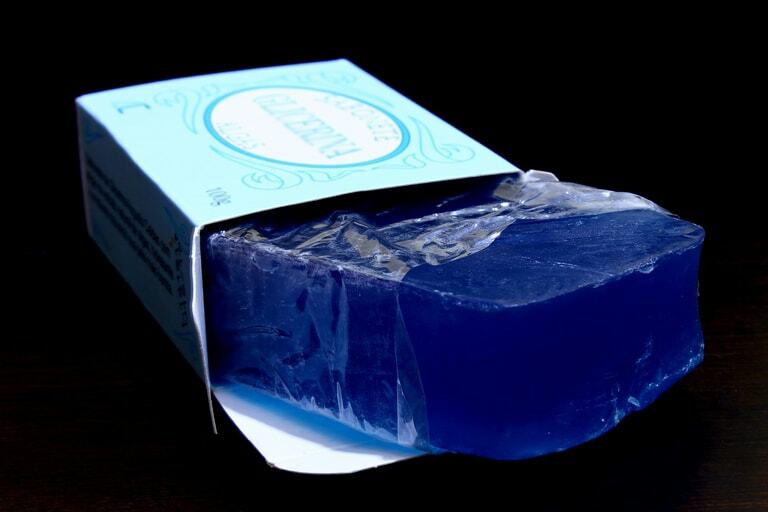 This ingredient could be created naturally from plant materials. It’s a preserving agent and is sweet tasting. Also sweet tasting, this ingredient is important for preventing tooth decay. It also reduces plaque, and it stops bacteria from communicating so that production decreases or stops. This is a food additive that is put in all kinds of things, including salad dressing. It is used to thicken or stabilize the food or substance it’s being added to. 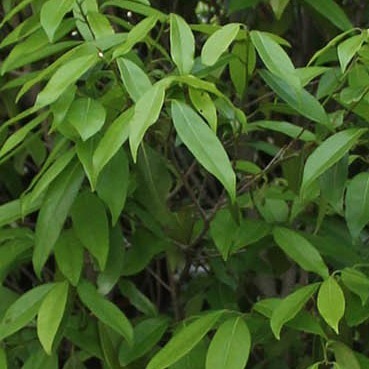 It has been known to lower blood pressure and cholesterol, be used as a saliva substitute, and might even fight cancer. 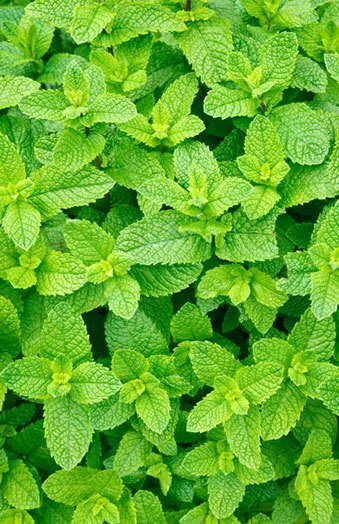 When it comes to dental care, Peppermint oil is pretty popular in more than just the Aromabright toothpaste. There are a few brands out there that don’t offer a Peppermint version of their products. Aromabright doesn’t only add the flavor, they include the essential oils. This oil kills anaerobic bacteria, which grow in an environment with low oxygen. The bacteria that generates gum disease is anaerobic. 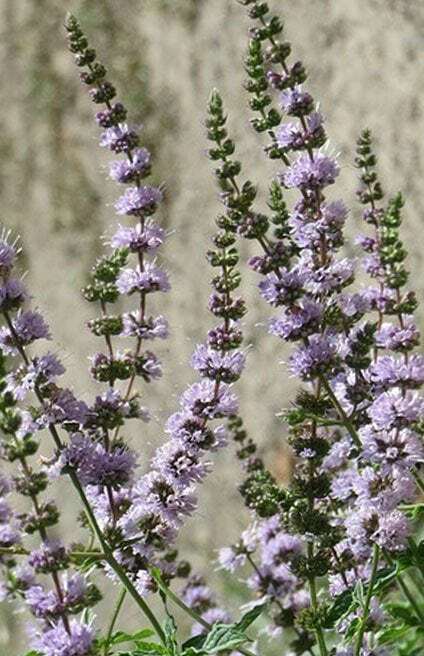 Also in the “mint” family, this essential oil derived from the flowers of the plant it is named after works as an antiseptic, which helps promote healthy teeth and gums. 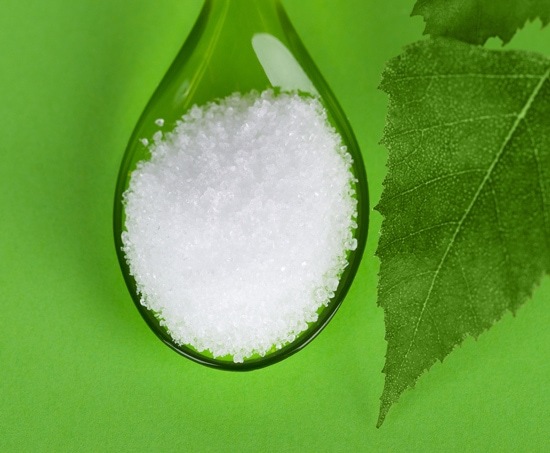 This is a natural sweetener that has been studied against a few of the oral anaerobic bacterias we spoke of earlier. 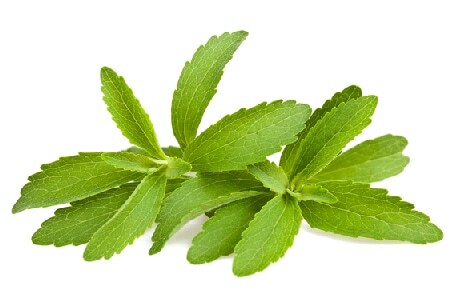 In this case, Stevia combats Streptococcus mutans and Lactobacillus acidophilus in the mouth. Found in natural sources, this fat is a binder. 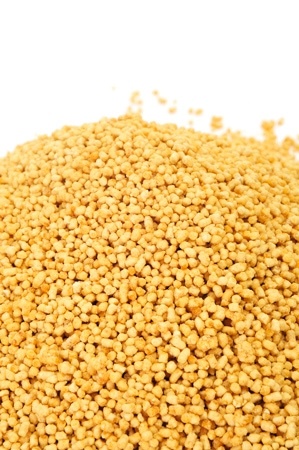 From what I can tell, there is no direct correlation between oral health and Lecithin, but it is used in several products in the cosmetic, drug, and food sectors. This essential oil is a great help when it comes to toothaches, which makes it a good ingredient for people who have sensitive teeth. The eugenol is found in Clove oil and has been used for periodontal therapy, to help fix abscesses, and has been used in root canal treatments. This oil has a wealth of benefits outside of oral health like battling diabetes, promoting heart health and aiding digestion. Still, it also helps with fungal infections and reduces stress. The latter has a direct effect on all aspects of health. It’s no surprise this oil was included in this toothpaste and not just because it’s a part of the original Thieves blend. When it comes to oral health, Cinnamon is hard to beat. It eases the pain, helps with infections, and takes care of that bad breath. 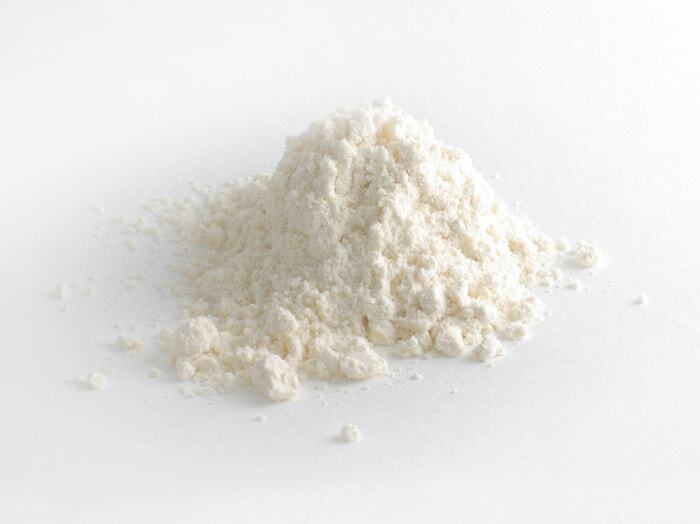 Here, we have another ingredient that is part of the original Thieves blend and does wonders for the teeth and gums. 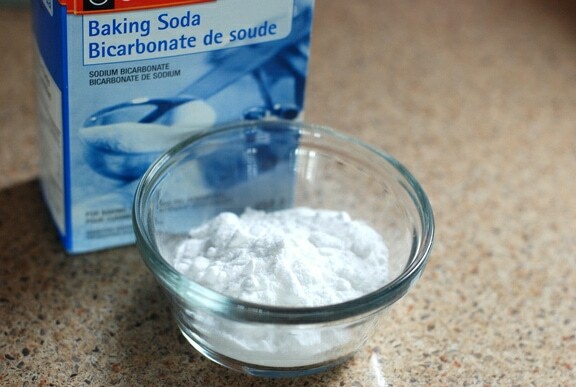 It whitens, strengthens, and works as an antiseptic. It also has antibacterial properties, which battles gum decay and revitalizes tissue. Another original additive, this oil has germ-fighting agents that take on cavities, plaque, and gingivitis. 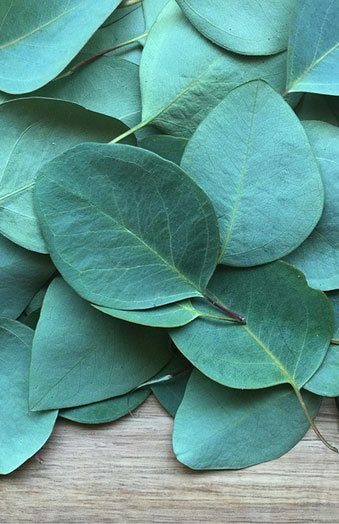 Read the labels at the stores, and you might find that Eucalyptus is a popular ingredient in commercial oral health products. 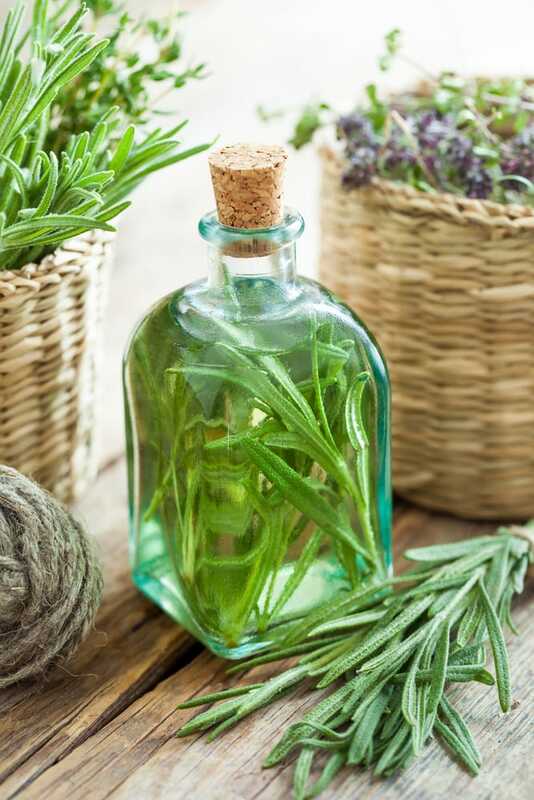 Bottle of thyme essential rosemary oil or infusion and basket with healing herbs closeup. Our last ingredient today is another original scent that has a wealth of benefits for dental hygiene. It fights bad breath, gingivitis, plaque, and cavities. It can do all of this because it is a disinfectant. This is a wonderful product to have, and I have used it for several days before writing this article to give you a solid take on what this is all about. Honestly, I plan on using it longer because I liked the way my teeth felt after brushing with it. I found it different in its consistency with the foam when you brush unlike what the commercial brands generate. That’s because it doesn’t contain SLS, which is added as a “foaming agent”. I liked the flavor, and I feel my teeth were cleaned as well as other toothpaste on the market. Although, I wasn’t a fan of the aftertaste, which resembled the kind you get from artificial sweeteners. The majority of consumers who reviewed this product love it and the way their dental health has improved since they started using it. One purchaser attributed this toothpaste in helping him fight off colds and the flu. They say their gums look healthy and the quality of their enamel had improved. Some complaints were that the flavor was too light and would’ve liked a strong taste of the Thieves blend. Another complained about the same aftertaste I experienced and attributed it to xylitol, which seems a little price to pay for the protection your teeth get from that ingredient. I think this toothpaste is good for anyone who wants to have a healthy mouth. I brush and floss regularly and get my teeth cleaned every six months, so I don’t have a lot of oral health problems. But, after reading other’s testimonial, I will be continuing my use of this toothpaste and add it into my regimen. Going the natural route, when it comes to your oral hygiene products, seems like the way to go. With all the chemicals that have been added to our lives over the years like pesticides on your produce and fluoride in your water, it’s nice to know we still have control over what we choose to use or eat. All natural products are gaining popularity because people are learning that it’s a healthier approach overall. If you found this article helpful and/or use Thieves toothpaste please, share your thoughts and leave us a comment. We’d love to hear from you. 5 Day Nutritive Cleanse: Does It Work?